A stunning temporary ice art monument is being created in Birmingham this summer to depict the emotions of World War One. Minimum Monument will create mini ice sculptures in Birmingham following on from similar art exhibitions in other cities. 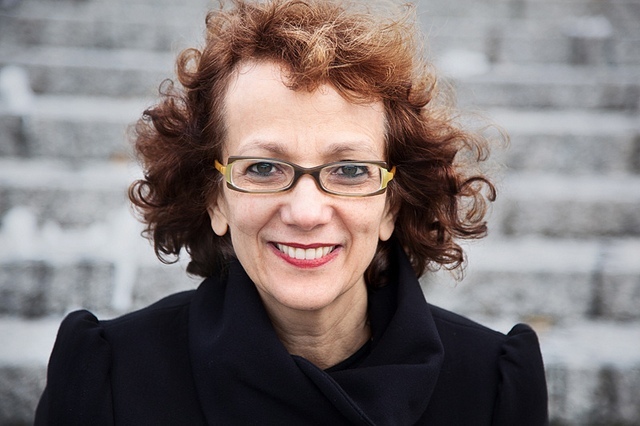 Brazilian artist Néle Azevedo is behind Minimum Monument, a UK premiere of her work. 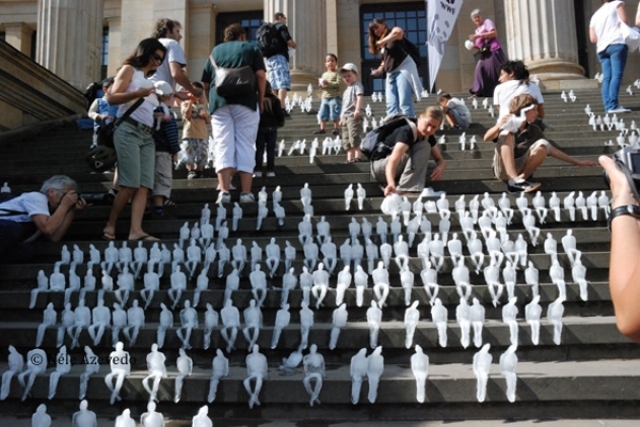 The free exhibition culminates in a "poignant and moving" display featuring 5000 tiny figures made out of ice, which will teeter on stone steps for a few hours before disappearing on August 2 in the heart of Birmingham. Onlookers will be able to place the beautifully crafted sculptures on the steps of Birmingham's Chamberlain Square and keep watch as the figures slowly melt. Azevedo, from São Paulo in Brazil, has created art installations around the world but this will be her British premiere and will feature the largest number of ice sculptures Néle has produced. Néle Azevedo says, "Hundreds of ice sculptures are taken to central places of cities and with help from the passers-by they are left to melt. 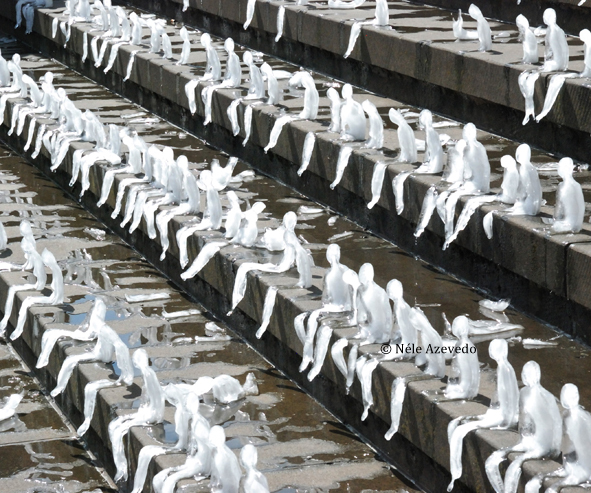 The sculptures are tiny men and women, 20cm tall, placed on stairways. It is the celebration of the common man, which is close to the original concept of the work." Néle was invited to put on the exhibition by Birmingham Hippodrome as part of Birmingham City Council's World War One commemorations. Paul Kaynes, Creative Programme Director at the theatre, says, "Watching the figures melt, and on such a vast scale, will undoubtedly effect people in many different ways – the city will not have seen an exhibition like it." Emotions stir as the ice sculptures melt, as shown here in an exhibition in Berlin. Néle Azevedo will arrive in Birmingham in July where she will be carving the sculptures ahead of the exhibition on August 2. Minimum Monument is funded by Arts Council England, Birmingham Hippodrome and William A Cadbury Charitable Trust. Volunteers are needed to help Néle Azevedo. Anyone aged over 18 who is interested should email zaraharris@birminghamhippodrome.com.